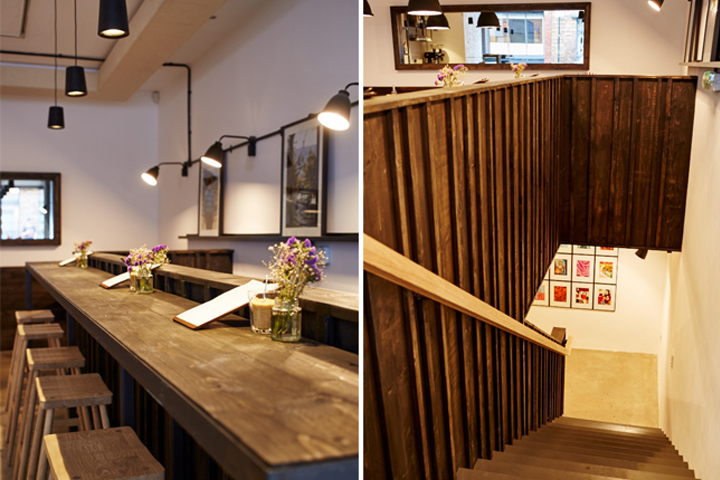 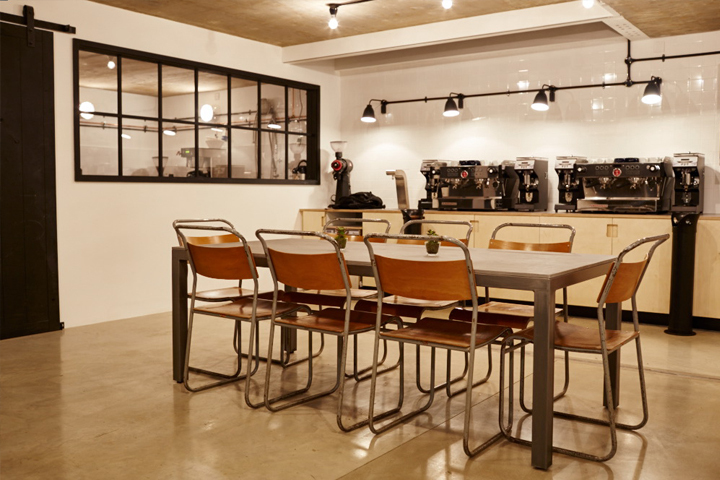 Origin Coffee asked us to create an interior design scheme for their coffee shop which now resides on Charlotte Road in Shoreditch, London. 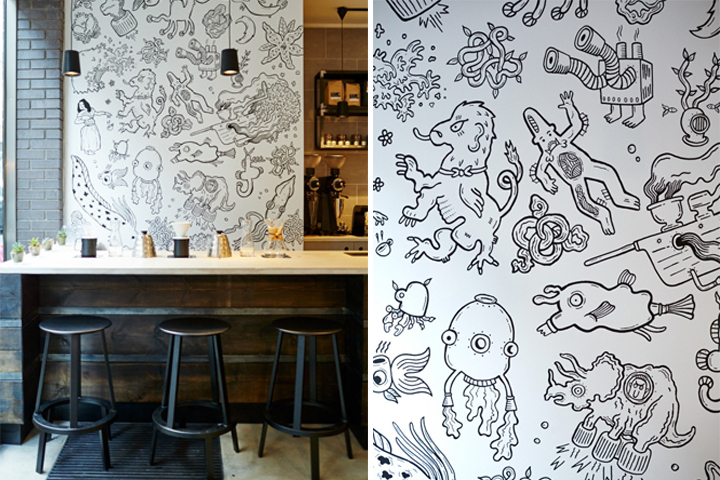 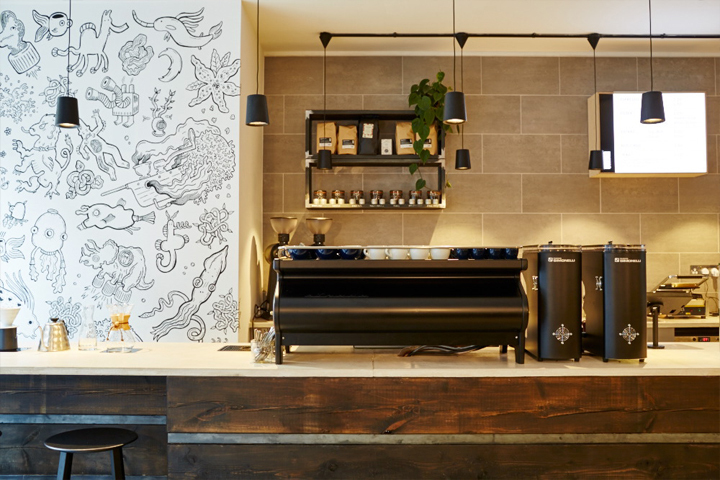 Pleased to be working with them once again we crafted a space that blends a monochrome colour palette of sharply finished materials in natural finishes and features work by illustrator John Kilburn who painstakingly hand painted his Origin illustration to the brew bar wall. 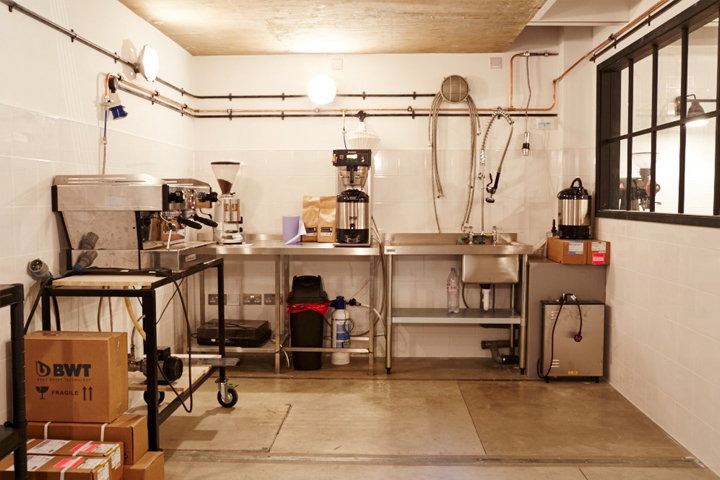 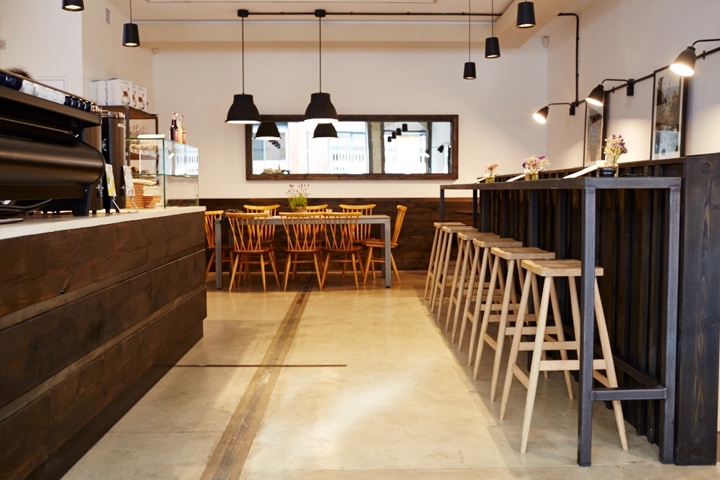 Downstairs is a dedicated education space where Origin share their knowledge of coffee and brewing processes along with a technical room for servicing machines.